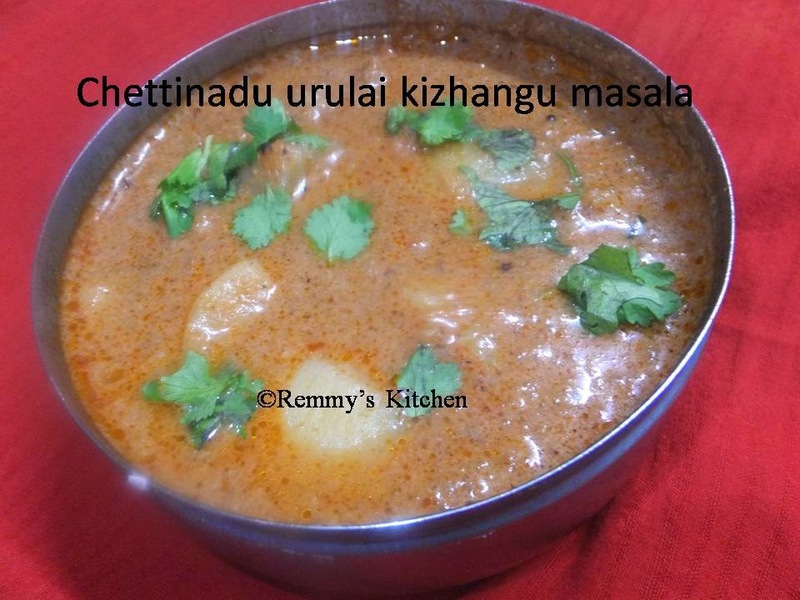 Again I'm with a chettinadu recipe.It will go well with roti and rice.Chettinadu cusine is blessed with spicy dishes. Make ginger garlic paste and keep aside. Add chopped tomato and sauté it again till it get mixed with onion. Add ginger garlic paste and sauté it well till it leaves the raw smell. Add ground paste and mix all the ingredients well. Add cubed potatoes and keep the stove in simmer mode. Now add fennel and curry leaves. Mix it well and add coriander leaves.. This is new to me Remmy. 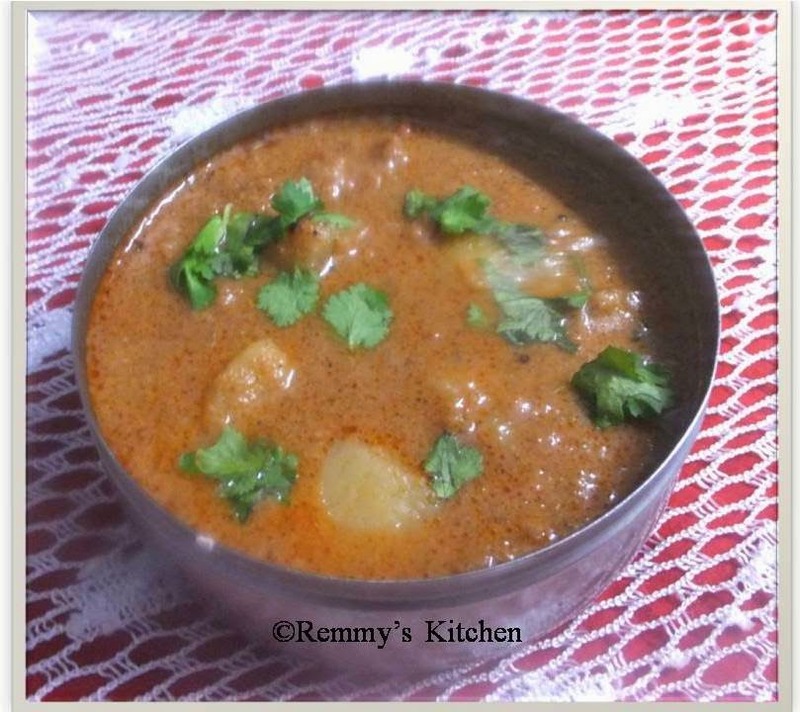 A kozhumbu with potatoes just..
New to your space and I m glad to see the wonderful recipes . Would love to connect with you.. Do drop by my space Sandhya's Kitchen (http://sandhyas-kitchen.blogspot.co.uk/) when you get a chance. 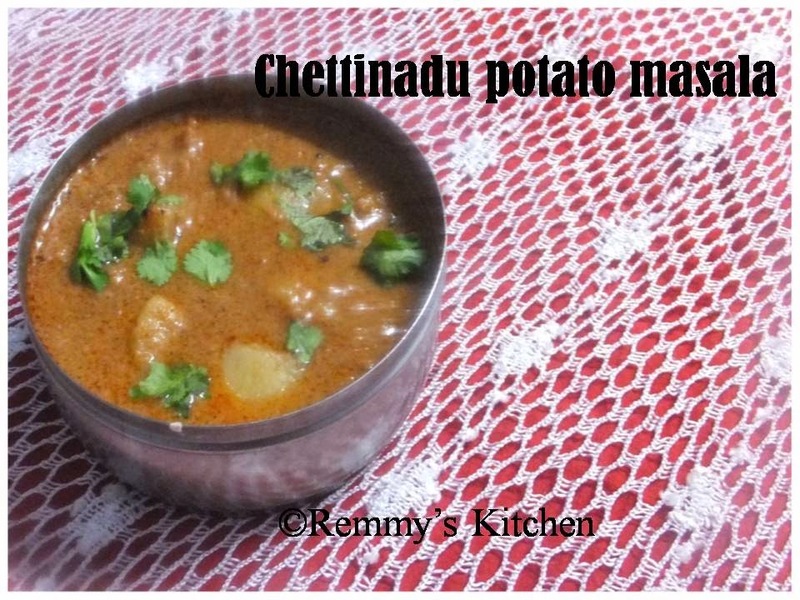 Its fabulous and yes to anything made alongside with chettinadu style with potatoes. Another wonderful dish to prepare. Looks great, Thanks for sharing!